You can now follow Scout UAV on Twitter. Keep track of the latest news with Scout UAV and Scout UAV Store! Scout UAV Store is OPEN! 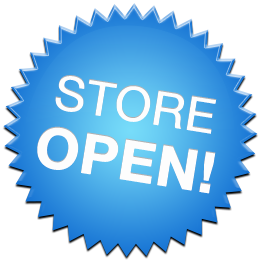 Scout UAV store is open! You can now buy the latest revision of Scout, Scout 3 as kit or just the airframe. Due to price increases from the supplier Scout 3 kit is now $360 instead of $350. The Scout 3 airframe is now $225. Head over to store.scoutuav.com for more details on Scout 3. I am shipping worldwide. I have notice that several of the items in the “Parts List” are consistently “out of stock”. If you choose to build Scout, I have managed to secure the ESC’s, motors, and propellers. I have installed and tested all the items and recommend them for the Scout build-log. They are really nice components. I have chosen these parts for their high efficiency. The high efficiency of these parts will extend flight times. I am working on getting more items in the store, stay tuned! Please support Scoutuav.com, by ordering your parts from store.scoutuav.com.